Knowing who can tow a caravan is not as complex as it may seem. As a driver, in most cases you can tow a caravan or trailer without needing to update your licence. However, if you are a younger driver or over 70 years of age, you need to check exactly what your licence allows you to tow. 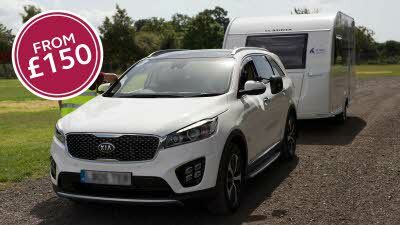 What size caravan can I tow on a car licence? When asking “what can I tow on my licence?” you need to think about the size of a caravan in terms of its weight ratio. If you passed your driving test after 1 January 1997, you’ll be more restricted by your licence when towing above certain weights. For heavier outfit combinations, a B+E or C1+E licence may be required - these categories are no longer included as standard, meaning you may need to pass an additional test. Towed outfits: any outfit where the combined Maximum Authorised Mass (MAM) does not exceed 8,250kg (over this weight would have required an additional test pre-1997). However, our recommended weight ratio between trailer and towing vehicle is 85%. Rigid motorhomes without a trailer: any of these where the MAM does not exceed 7,500kg. Rigid motorhomes with a trailer: as long as the total MAM of trailer and motorhome does not go over 8,250kg no further test is required, but our recommended weight ratio between trailer and towing vehicle is 85%. Towed outfits: you’re restricted to a combined MAM of 3,500kg and the trailer MAM must not exceed the unladen weight of the towing vehicle (85% ratio remains strongly recommended). If this MAM is to be exceeded, an additional E Test pass is required. Rigid motorhomes without a trailer: you're restricted to a MAM of 3,500kg until passing the Large Good Vehicle (LGV) test, after which you're is qualified to 7,500kg MAM. Rigid motorhomes towing a trailer: as long as the trailer doesn’t exceed 750kg and the combined MAM doesn’t exceed 4,250kg you don't need to take another test for this type of outfit. However if the trailer MAM exceeds 750kg then the first point applies for a vehicle less than 3,500kg. Otherwise an LGV test plus an E test is needed. The caravan test in the UK is often known as a B+E test or a C1+ E test (if wanting to drive a 7.5 tonne with trailer). Information - What can I tow without a trailer licence? If you passed your test before 1 January 1997: Combined weight of car and caravan outfit up to 8,250kg. If you passed your test after 1 January 1997: Combined weight of car and caravan outfit up to 3,500kg. Over 70 years of age (provided licence obtained before 1 January 1997): Only vehicles that can be safely towed by a 3,500kg towing vehicle. What happens when I turn 70? Your driving entitlement for Category B and Category B+E (provided Category B+E was held prior to the expiry date of their driving licence). Category B+E means you can drive a motor vehicle (i.e. car, van or 4x4) not exceeding a 3,500kg Maximum Authorised Mass towing any weight trailer or caravan within the prescribed maximum towing weight. The maximum towing weight is specified in the technical data section of the vehicle manufacturer’s handbook. However, our recommendation on weight ratio between trailer and towing vehicle remain at 85%. If you’re driving a vehicle with a MAM of over 3,500kg, when you reach 70 years of age and your driving licence expires, you’ll need to pass the D4 medical test and the required standard eyesight test. This legislation became effective from 1 January 1998. 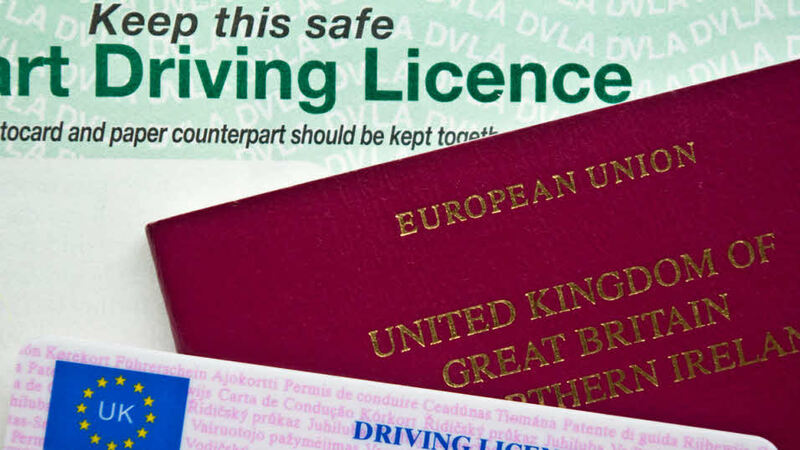 What licence do I need to drive a motorhome? In general, the answer is no. Most drivers can drive motorhomes weighing up to 7,500kg, or 8,250kg including a trailer. However, a limit of 3500kg applies to drivers aged over 70, or a driver licensed since 1 January 1997, unless a medical test or additional test respectively is passed. What trailer can I tow with a motorhome? If you are towing a trailer with a motorhome, it’s very likely to exceed the combined maximum allowable mass, unless it’s the smallest of trailers. This means at least a B+E licence entitlement is required.